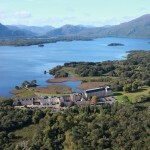 Cahernane House Hotel is beautifully situated on a private estate on the edge of Killarney National Park. 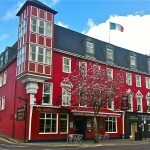 This boutique four star hotel is located just ten minutes’ walk from Killarney town centre. The entrance to the hotel is framed by a tunnel of greenery which unfurls to reveal the beauty of this imposing manor house, constructed in 1877 and formerly home to the Herbert Family. Cahernane House Hotel exudes a sense of relaxation and peacefulness where guests can retreat from the hectic pace of life into a cocoon of calmness and serenity. The only sounds you may hear are the cows bellowing, the lambs bleating or the birds singing. The hotel offers 38 spacious guest rooms; 12 of which are located in the original house. These rooms boast many of the original features including wooden ceiling beams, cornicing and fireplaces. Each room is decorated in a unique style, relevant to the original period. There are 26 spacious deluxe rooms available in the garden wing of the hotel many of which feature french doors onto either a ground floor patio or a first floor balcony, commanding stunning views over the local landscape. Cahernane House Hotel has a long, rich history and has been lovingly revived and offers national and international guests a unique and experiential stay in a magical environment, rich with history and elegance. Set in mature landscaped gardens with a secure car park, on the fashionable Muckross Road, Old Weir Lodge is a highly acclaimed Tudor style, family run, accommodation and boasts a wonderful location, only a few minutes walk from Killarney town centre. The house also enjoys the serenity and beauty of the nearby National Park and lakes, making it an ideal base for hill walking in County Kerry and the south west region. It is near the start of the Kerry Way walking route – the longest way-marked trail in Ireland. The tranquillity of the bedrooms will ensure that you can relax and unwind with every luxury and convenience close at hand. Each room is beautiful appointed, facilities include; tea/coffee maker, multi-channel T.V. direct-dial telephone, iron, hairdryer, clock radio. We have ground floor bedrooms and an elevator to our upstairs bedrooms. All rooms have a private bathroom with power shower, most with bath and shower, some with shower only; complimentary toiletries. Click on the images below to get more information about each of the bedrooms. Don’t feel cut off from news from home, we have a computer in the Bricin Lounge, or bring your own laptop; there is free Wi-Fi in all the Lounges and Reception area! In our Innisfallen Dining Room, freshly cooked breakfast is served by our local, friendly staff. Fresh home-baked breads and scones are also available, and all the food is local produce and freshly cooked. Proprietors Dermot & Maureen O’Donoghue have been welcoming visitors to Killarney for the past 40 years and have an unsurpassed knowledge of the local area. Enjoy the many local tours which are all available from Old Weir Lodge. Murphy’s Guest House is a proud family tradition for over 50 years, located in the heart of Killarney town. Easily accessible from the main bus & train terminals and adjacent to public car parks, shopping areas and on the doorstep of Killarney’s National Park with their breathtaking scenery. The interior of Murphy’s is unique and very traditional. Pitch pine taken for an old church has been re-crafted and used throughout the bar. This, combined with stained cathedral glass exposed stone work and a collection of mementos and many fascinating photographs, add to the cosy ambience of the interior. Murphy’s guest accommodation combines great hospitality in a superb town centre location. We offer twenty spacious rooms all are en-suite, with elevator access. Just a short stroll from the bus and rail stations and 15 minutes from Kerry Airport. Ideal for exploring the beautiful scenery of Killarney’s National Parks or, as a starting point for a tour of the Ring of Kerry or the Dingle Peninsula. Let our friendly and professional staff arrange your daily tours, sightseeing excursion and tee off times. Murphy’s Guest House offers great value Killarney accommodation, a traditional Irish pub and an excellent choice of dining options. We look forward to welcoming you to Murphy’s of Killarney and will do our utmost to ensure your stay with us will be a memorable one. Superior Suites – Large Opulent Suite with separate Living Area, Luxurious bathroom with Jacuzzi, complimentary Spa access throughout your stay, complimentary mini-bar, wine & chocolates. Junior Suites – Individually decorated Luxurious Suites with Lounge Area, large plazma TV’s, complimentary Spa access throughout your stay, complimentary mini-bar, wine & chocolates. Superior King Rooms – Larger Luxurious bedroom in the Blue Pool Wing of the hotel with complimentary wine & chocolates, as well as all the facilities of Deluxe King Rooms. Deluxe King Rooms – Victorian Style Rooms with modern facilities and amenities including climate control, free WiFi, luxury Robe & Slippers, DVD Player, hospitality tray with bottled water & 24 hour room service. Self-Catering Apartments – Ideal for Families or Groups, these apartments consist of 2 bedrooms with 2 bathrooms, living area and kitchenette. The self-catering option offers a value accommodation option within the resort. 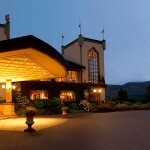 Book the best 5 star Killarney acccommodation at Muckross Park Hotel & Spa and ensure you have a relaxing stay. The Dunloe Castle Hotel is one of the leading 5 star luxury hotels Ireland has to offer, overlooking the famous Gap of Dunloe, set on its own 64 acre estate leading to the ruins of the 12th century castle and River Laune. The Dunloe is one of the finest luxury hotels Ireland has to offer, boasting magnificent 5 star hotel accommodation only 5 miles from Killarney town. 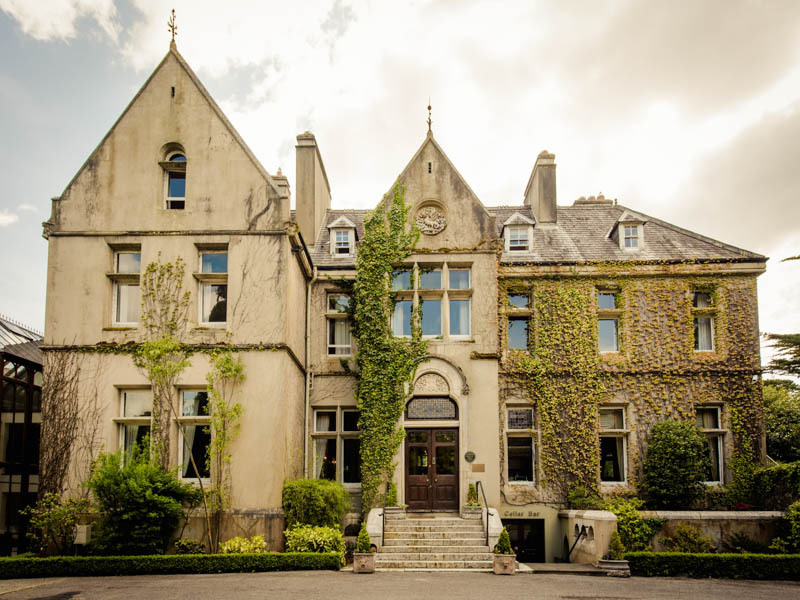 As The Dunloe, guests can enjoy a range of complimentary onsite leisure activities including swimming, sauna, steam room, techno-gym, fishing, horse riding, tennis and treatment rooms for luxurious spa therapies, massages and beauty treatments. A kids club and movie night programme runs for children throughout the summer months. Golf, tours and walks can also be arranged locally. We enjoy a unique countryside private setting and we are one of the leading pet friendly hotels that Ireland has to offer. For fine dining in Killarney, visit The Garden Cafe or the Oak Restaurant and enjoy the best of local produce in our luxury hotel. Ireland, and particularly county Kerry, is home to some of the best gourmet food in Europe. Wild Atlantic fresh fish and high quality Kerry lamb frequent our menu. 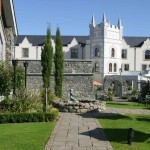 The Europe Hotel is beautifully located just outside Killarney town, overlooking the famous Lakes of Killarney. 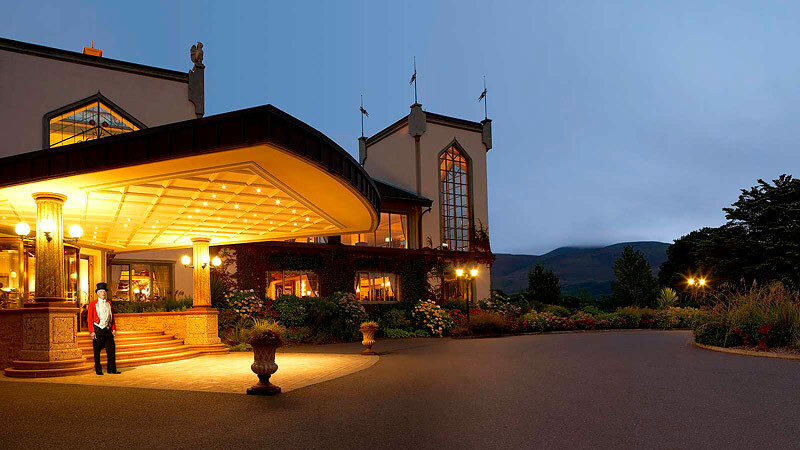 The Europe Hotel & Resort is a Five Star Hotel with a dedicated conference and event centre and incorporates ESPA at The Europe, one of the top spas in Killarney. 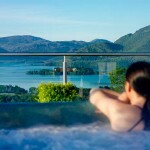 It is in the beautiful grounds of this 5 Star spa resort in Killarney that the waters of Killarney’s largest lake, Lough Lein, reflect the wilderness of Kerry’s magnificent McGillycuddy Reeks Mountain range in the scenic South West of Ireland. Enjoy a range of leisure activities on the grounds of one the finest 5 Star resorts Ireland has to offer. The Europe Hotel & Resort captures the imagination of visitors to Killarney whether for our Kerry Spa, our restaurants or for a conference. Enjoy luxury accommodation in Killarney, and let relaxation envelop you as you enjoy one of Ireland’s finest views from your own private balcony overlooking Killarney Golf & Fishing Club or the Lakes of Killarney. The Europe Hotel is regarded as one of the most luxurious Killarney Hotels and is ranked as one of the top 5 Star hotels in Ireland. The Europe Hotel & Resort also offers a number of flexible dining options as well. You can choose from the Spa Cafe, The Brasserie Restaurant or the Panorama Restaurant along with a relaxing Lounge and Bar area. Offering everything and more for your next break in Kerry, The Europe Hotel in Killarney will be delighted to arrange your stay at one of the finest Five Star hotels in County Kerry, Ireland. 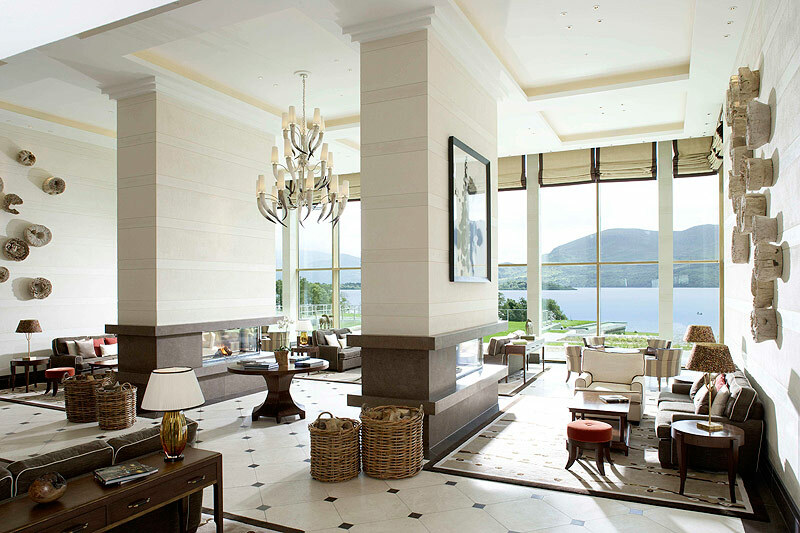 Aghadoe Heights Hotel and Spa is Ireland′s (multiple) award winning 5 star luxury resort that overlooks the Lakes of Killarney in the heart of Kerry. Blessed with a breathtaking location and contemporary elegance, visiting Aghadoe Heights Hotel is a truly unique experience and popular choice for Killarney weddings. The spectacular surroundings are echoed by the hotel′s beautifully appointed bedrooms, suites, lounges, fine dining room, (award-winning) spa, swimming pool and tennis courts. The Aghadoe Heights is also renowned as being one of the best conference venues in Killarney offering corporate facilities with meeting and function room space. 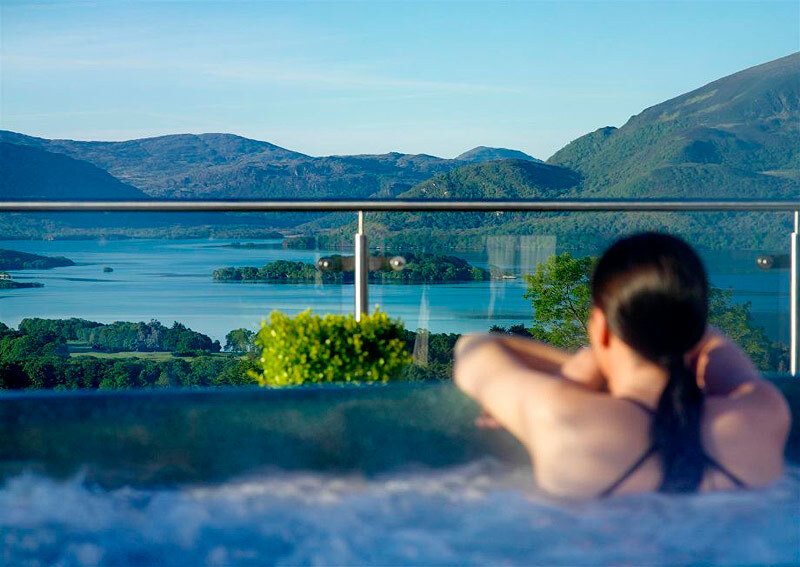 Aghadoe Heights Hotel & Spa is perfect for a romantic getaway, celebrating a special occasion with friends and family or a fine dining experience. 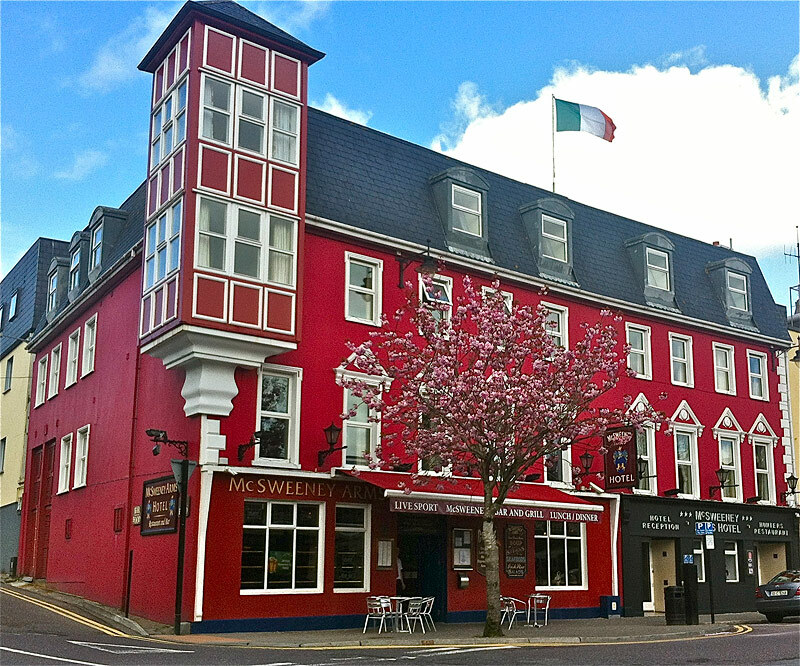 McSweeney Arms Hotel is ideally situated in the centre of Ireland’s most famous tourist town Killarney. 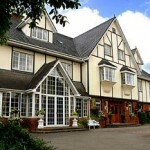 McSweeney Arms Hotel is a three star family run hotel with a unique and friendly atmosphere. 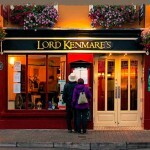 We hope that your next visit will be with us here personally in Killarney. For all our “Old” Friends, “Welcome Back” and for those of you whom we hope to still meet, we hope it will be soon! Our bedrooms at McSweeney Arms Hotel are a home away from home. Comfort, quality and relaxation are essential to a good nights sleep and we promise to ensure all guests the best nights sleep possible. Each room has a unique style and loving touch. 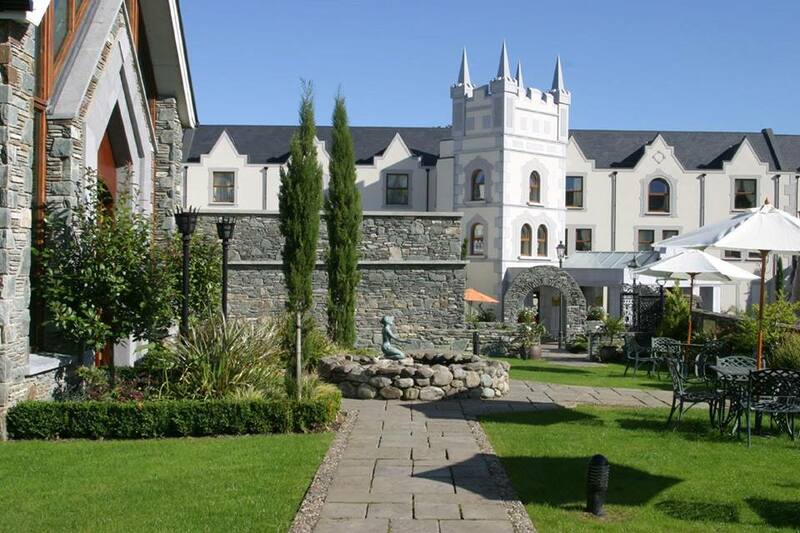 Perfect for a few nights away to explore the treasures of Killarney. We also offer Superior Rooms, which are more spacious and add that extra touch of luxury to your stay. Ideal for those heavy golf accessories or just to spoil yourself. At McSweeney Arms Hotel you have a choice of 26 En Suite bedrooms with a range of complimentary amenities to make your stay as comfortable as possible such as WiFi, tea and coffee service to your room and satellite TV. 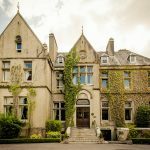 The Eviston House Hotel is a family run hotel in Killarney located right in the town centre yet only a stroll from the Killarney National Park. Choose from our best value standard rooms, our cosy superior rooms or our luxurious deluxe rooms with whirlpool bath. 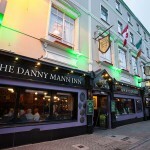 Our famous pub, The Danny Mann, has been entertaining visitors with lively traditional music for generations. Dine by candle light in our Colleen Bawn Restaurant. Unwind in our fitness suite with hot tub and sauna. Bus and train stations are only a few minutes walk. When visiting Killarney, let us arrange a round of Golf or a tour of the National Park. We look forward to welcoming you to our hotel in Killarney whether it’s for a romantic break, family holiday, for business or a wedding or just a girls/lads weekend away. Eviston House Hotel offers free overnight parking for guests, complimentary WiFi, a fitness suite and convenient town centre location. 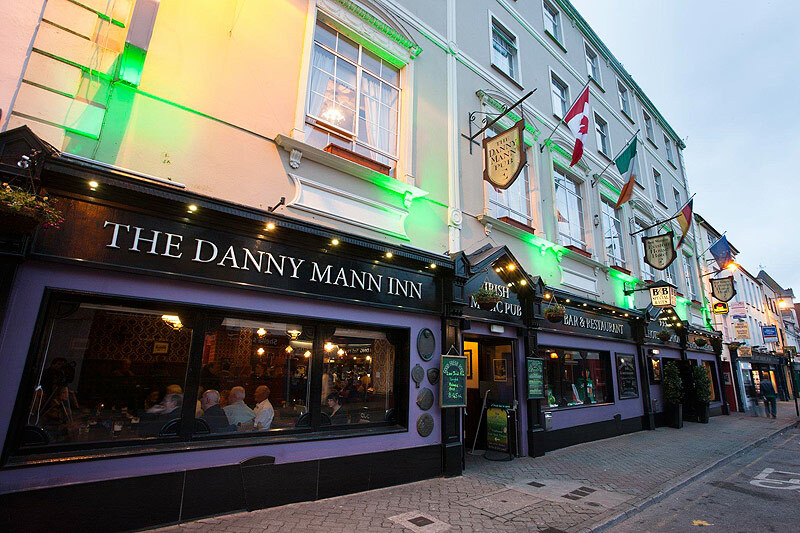 You’re sure to be treated with live music at The Danny Mann pub which is always a great night and an experience not to be missed! 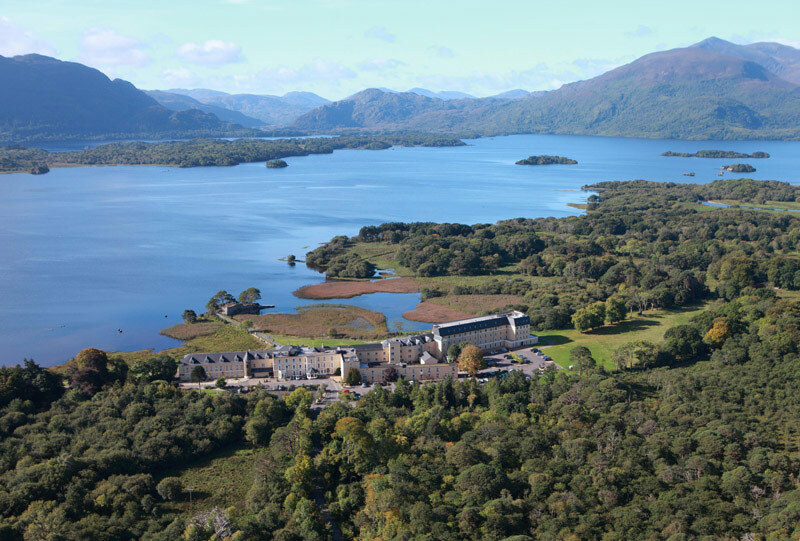 Nestling on the lakeshore of Lough Lein, Killarney’s lower lake, The Lake Hotel enjoys the most magnificent setting in Killarney with the truly unique backdrop of the mountains, islands, woodlands and the 12th century McCarthy Mor castle ruins. 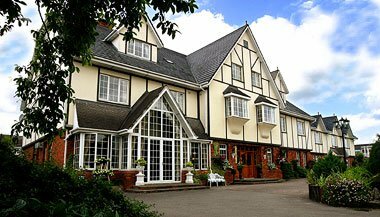 The Lake Hotel is a four star hotel run by the Huggard Family & has been welcoming guests since 1820, so a long tradition of warm Irish hospitality awaits all visitors. The secret to success that has served the family so well down through the generations is the emphasis placed on quality, attention to detail, first rate customer service, a warm welcome and a determination that all visitors to hotels run by the Huggard family become friends as well as guests. The Lake Hotel, which has been carefully developed to become one of the finest establishments in the country, has enjoyed remarkable success, including the receipt of several national quality awards for cuisine, quality, service and hospitality. Awaken for breakfast in the elegant dining room, The Castlelough Restaurant. Observe the wild deer stroll across the lawn, unwind over morning coffee in the Lakeside Bistro and absorb the peace and tranquillity imposed by the presence of the lakes. Wander down the pathways to the ancient castle ruins and be surrounded by the freshest of air and a landscape that is untouched but admired by visitors over the centuries. As the light fades and colours change, enjoy an aperitif in the Devil’s Punch Bowl Bar before tasting the finest of Irish food and reflecting on the abundance of natural beauty in this part of the world. 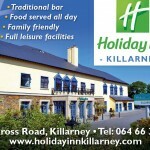 The Holiday Inn Killarney is one of the best known and popular family hotels in Killarney. We are famed for our warm welcome and traditional Irish hospitality. The Holiday Inn Killarney is in a tranquil and central location just outside Killarney town centre and a few minutes stroll from the INEC Killarney Ireland’s National Event Centre. We pride ourselves on our long standing reputation for providing great value with friendly staff and efficient service. Holiday Inn now offers complimentary WiFi in all rooms and public areas. Our hotel is well serviced by transport, bus, train, and nearby Kerry Airport – making it easily accessible from all over Ireland and the world. 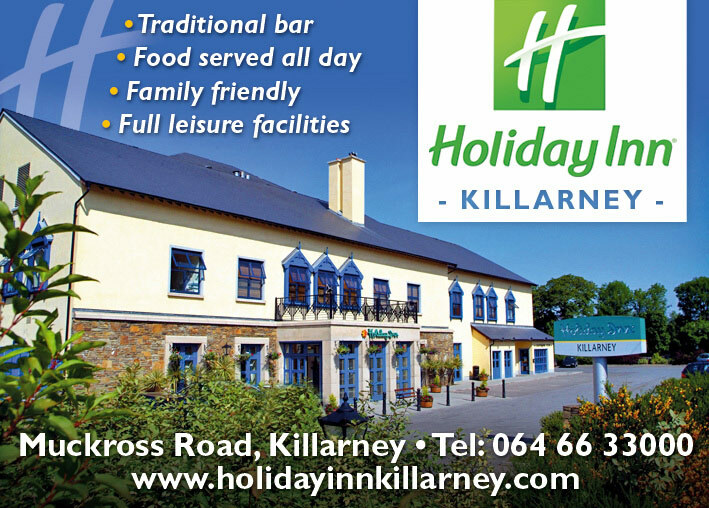 The Holiday Inn offers everything for the perfect getaway: Great food in our restaurant, beautiful scenery, great value breaks and lots of activities, leisure centre facilities including an indoor heated swimming pool ideal for family hotel breaks in Killarney. Supervised playroom open nightly during July & August. 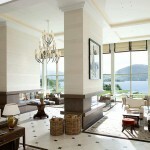 Take some time to look at our special offers, enjoy a break and enjoy fine accommodation in Killarney with a difference.